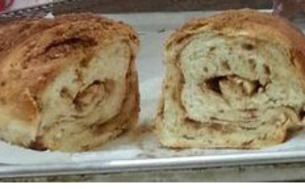 Made from our Cinnamon Chip Bread, spread out on the table, then covered with brown sugar and cinnamon, rolled into a swirl and topped with melted butter and sprinkled with more brown sugar and cinnamon. 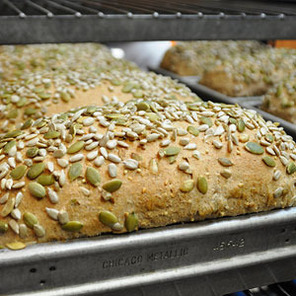 Made with 100% Kosher ingredients: wheat flour, honey, eggs, and salt. 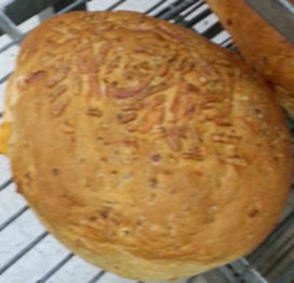 Cheddar cheese, garlic, onion, and oregano create this unbelievable bread. 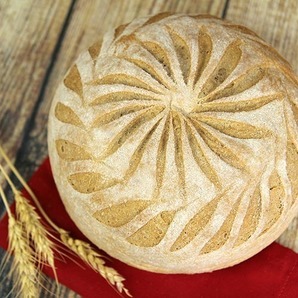 This is a favorite to grill or toast. 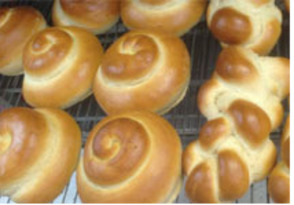 We also make hamburger bun from this amazing bread.